After reading some of the story of the Brother of Jared in Sunday School today, the teacher asked if it would be possible for us to have the same type of experiences—namely, an open vision of the Savior and all of His creations. During the seconds of silence that followed, I began to ponder what I termed the “physics of perfection”. One of the interesting things we learn from this story is the fact that because of his knowledge, the Brother of Jared could not be kept from seeing what was on the other side of the veil. This was not some exception the Lord made nor a gift He was inclined to give to a child He favored. Instead, based on divine law, the very fact that the Brother of Jared had attained such a spiritual state meant that the powers that govern the veil were required to submit to his inquiry and allow him to penetrate its screen. Assuming this is correct, and knowing that the Lord is no respecter of persons, then the answer to my Sunday School teacher’s question is a resounding yes! In this way, the key to unlocking such a vision for ourselves lies within observing the lives and actions of the few individuals who have attained such an experience, and modeling our belief and behavior accordingly. Our quest for perfection is not a guessing game, but rather a grand laboratory experiment in a classroom setting, where we must learn and master the various physical laws that govern what we will be doing in our experiment. Our mastery of this knowledge will lead us to higher planes of understanding, ultimately culminating in epiphanies, visions, and blessings that will open the door to our perfection in Christ. Interesting question: “Perfection” means conformance to some sort of model of behavior or structure. I don’t think God could be perfect only by His definition because anybody could do that. So what model of perfection are we using when speaking of His perfection? Is there some universal morality we can appeal to? It’s a compelling argument for some type of universal morality if nothing else. Advanced quantum physics sheds so much light on deep doctrinal aspects such as faith, priesthood, the Holy Ghost, and many others. Premise 1: The light always shines. It is only our mortality that prevents us from seeing it. Premise 2: The truth is always the truth whether we acknowledge it or not. Thus the power of ultimte truth would be felt if it is there, whether we are aware or not. These seem to be at odds with each other. That is where the veil comes in. The veil is not just a figurative device. It is a real, substantive barrier that not only prevents evil from entering the presence of God, but also protects us mere mortals from being exposed to the full glory of God. Electromagnetism causes opposites to attract. Gravity attracts ALL matter to all Other matter (no opposites exist — even antimatter is attracted by gravity). The weak nuclear force causes attraction between neutrons (like particles that normally don’t repel). The strong nuclear force causes attraction between protons (like particles that normally repel due to electromagnetism). Could there not be many other fundamental forces that we are currently unaware of? Let us assume this 5th force (the Glory of God) causes attraction between like items and replusion and possibly destruction to unlike items. Thus, since Mahonri was substantially similar to the “substance” of Celestial Glory, he passed through the veil as if walking through air. The same would go for anyone who reached such a spriritual state that the only thing that the Lord could chastise him about was that he hadn’t prayed enough. Excuse me? I was going to say that you’re merely making comparisons between physics and religious doctrine, but on second thought I don’t even see that. Care to explain your “faith, priesthood, the Holy Ghost, and many others” comment? I think we sometimes take our metaphors too literally, and begin to think of the gospel as a mathematical equation. Righteousness isn’t adhering to some abstract formula in the sky, it is forming a relationship with a divine being. We all know that love can’t be distilled into an equation. Hey, give Carb a break. How do you guys know there’s not a literal veil like that? Just imagine how useful it would be: Here comes some evil. I’m with Jeff T. on his comment about developing a relationship with Deity. As Richard Bushman explains in Rough Stone Rolling, Joseph Smith was eager for others to have spiritual experiences similar to the ones he had. He taught that this is not only desirable, but quite possible. Even before my father joined the church, he had spiritual events that I think most Latter-Day Saints would consider rare. I too have had experiences, the like of which are too sacred to discuss in a blog post. I am somewhat mystified when church members wonder if such things are possible for them. A couple of things I do know is that true need and personal preparation are important factors, and that the Lord acts on His timetable, not mine. Also, it is important to realize that each of us has certain gifts. And perhaps this kind of gift is no more highly regarded by the Lord than other gifts that seem to be more common. I think if we are honest with ourselves we can recognize our personal level of desire for sin and consequently know how much further we have to go to achieve perfection. Myself, I am excited for the possibility of losing every desire for sin. That is not merely avoiding the temptations to sin, but actually becoming immune from those temptations (over time obviously) because the sin holds no appeal for us. Awesome post. I was thinking some things along the same lines. I’ve often pondered my own understanding of “perfection” in contrast to the common understanding of it. 1) It would really take a LOOOOONNNNNGGGGGG time to explain each of those. So I limited myself to the topic at hand (Mahonri and the veil). 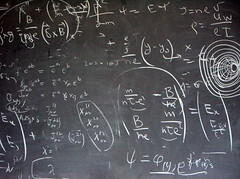 2) How advanced an education do you have on physics? BTW Connor, what IS your definition of “Physics of Perfection”. To expound on that, the physics of perfection are the related laws and principles that, if obeyed, will lead to a change in our nature (both spiritual and physical), allowing us to see the refined spiritual matter (with purer eyes). This is what I believe takes place when a person is able to see across the veil, whether it is a departed loved one or another heavenly messenger. Just as laws govern natural things on Earth, it’s a safe assumption and doctrinally correct to say that laws govern heavenly/divine things as well. The physics of perfection are simply the collection of laws that relate to the process of our progress in becoming increasingly like God is. That’s my take. I believe that I’ve made the analysis of they physical nature of the veil (incomplete and elementary as it may be). And others are discussing the spiritual nature of the veil. For Clumpy, I am saying that when you study the deeper end of gospel doctrine and the deeper end of physics, the more you find them agreeing when describing “the way things really are”. For example, the definition of “spirit matter” can be better understood when understanting that matter and energy are of the same basic stuff. This is where I was going with my physics. Truth is truth whether you approach it from revelation or empirical data and mathematical theories. I just find it harmonious (that’s the best word I can use to decribe my feeling) when I find a physical principle that clarifies in mundane terms a spiritual principle that floats around without a physical definition. I think you’re going to have limited success with trying to apply science to spirituality. Scientific theories are based on empirical observation, and religious ones are not. b) admit that the whole thing should only be taken metaphorically, perhaps as moral instruction. Take the scripture Connor cites. You’d be on much safer ground if you said that spirit was immaterial and couldn’t be perceived. But here we have Joseph Smith saying that spirit is a kind of matter. This was a very bad move. Now scientists can say things like: Okay, let’s study ‘spirit’. Why doesn’t it exhibit the properties of matter? Why can’t we observe it like matter? Because our scientific instruments aren’t ‘sensitive’ enough? It’s a bit like N-rays or phlogiston. The notion of ‘spirit’ wouldn’t register on any empirical test you could devise. If you want to use the gospel as a way of describing how people should act toward each other, or something like that, then I’ll have little quarrel. (I think there were better ways of doing it, but whatever.) But I’m afraid that religious stories and ideas just don’t do well under scientific analysis. That was a lot of words to say,”I don’t believe in God”. Since I’m really the ONLY one so far that brought up the scientific nature of spirit or Deity, etc. I’ll make a go at this. The first thing you must have is the humility to recognize that you don’t know everything. By your statements above, you probably don’t recognize some very famous scientific issues. The second thing you must have is the humility to recognize that humanity is not so advanced that we understand all there is to understand. The third thing you must have is the humility to recognize that there is a lot more that we DON’T know than we know. The fourth thing you must have is the humility to know that you will NEVER in this world understand ALL there is to know about exactly how everything happened. Do you see a pattern here? Humility first. 1) Matter energy conversion can easily explain a connection between the Hebrew Bible, and “Spirit”. 2) The nature of electricity seems so basic, but there are things that electricity does that baffles the best of physicists. To say you understand electricity because you took a high school wiring class would be ludicrous. As ludicrous as you believe we are for believing in God, you are just as ludicrous for believing you know better while only learning enough about religion to know you don’t accept it. 3) Physicists now have all but admitted that Both Einstein’s theories on relativity break down after deep analysis. But they seem to work. So, even in science we go with things that we know don’t make sense, but seem to work. It is the same principle that allows us to use Newtonian physics when we have Einstein’s theories that says it’s ok to believe Einstein even when we’ve proven him wrong. Yes, the primary purpose of our lives here is to learn to be better people. But one way in which we learn this is to learn everything we can. Truth will always lead us to other truths. Einstein (while still an atheist) once said,”The more I delve into the mysteries of the universe, the more thoroughly am I convinced that there is an all-powerful Force, Being, or Influence that governs all that goes on.” Since this was his closing remark to a speech, he gave no explanation for his comment. Here is my take: The more you understand the basic nature of the universe, the more difficult it is to disbelieve intelligent design. BEWARE: An engineer has just dropped a GEEK bomb. We can say lots of things about religion (gives comfort, has lots of satisfied customers), but one thing we can’t say is that it’s supported by science. Intelligent design is a great example. People are trying to make science match with scripture, and it’s not working. The only way they can make a case is by ignoring facts when they contradict their preconceptions. That’s not science. Re humility: Scientists realise how little we know. Religious people think their value system was given by a god, is perfect, and not up for negotiation. This does not lend itself well to things like humility or compromise, though LDS are somewhat better in this regard what with the doctrine of continuing revelation. 2) I don’t think you’re ludicrous for believing in supernatural beings. I used to believe too — I was actively LDS for some 30-odd years. But what matters is whether you have evidence for your claims. 3) How does this relate to religion? Newtonian physics works under ‘normal’ sizes, weights, speeds, and temperatures, but they break down when things get very small or very fast. Einstein’s observations account for all of Newton’s observations plus some more. Religious ideas, not being based on observation, do not really explain anything. 4) Early scientific attempts helped to build better theories and people made empirical observations. Religion and superstition, being non-empirical, have never contributed one thing to human knowledge. Trying to enlist science in the service of religion is not going to go well. Science relies on observation and evidence for claims. People believe religious ideas without needing empirical evidence. They are opposite and irreconcilable ways of understanding the world and universe. Science works. Religion does not. There’s no other way I can put this. Joseph not only said that spirit is matter, he also said that God didn’t create the heavens and the earth out of nothing. He ORGANIZED. Unfortunately, the word “organize” did not exist in ancient Hebrew. The word that is used now is of recent origin. The word ba-RAH in the first verse of Genesis is often translated as “create”. But Hebrew scholars point out that this word is only attributed to God. It is a type of creation that only God can do — to create out of nothing. When you take ambient energy and are able to ORGANIZE it, the first thing that pops out are electrons and positrons shooting in relatively opposite directions. This process is called electron synthesis (another word for creation). This is essentially “creating out of nothing” by organizing energy into matter. Matter is merely one form of organization of the basic “element” of the universe. Spirit is merely another form. My point here was that before Einstein, Mikleson and Morley basically proved that Newton was wrong. But no one was going to abandon Newton. He had proven to be right too often. But there was no explanation for the experiment. It not only contradicted all that had gone on before, it actually turned the understanding of all of physics upside down. When Einstein presented his thories, it was a simple explanation that let us keep Newton, but modify it as needed. But prior to Einstein, they were in a panic. All we thought we knew was in jeapoardy. People have said that if gravitons were ever discovered, that relativity would be proven wrong. I recently read that there has been evidence (though not proof) discovered indicating the presence of gravitons. It will only be a matter of time before proof is found. I asked my rocket scientist brother-in-law about this. He said that we’ve actually already discovered that relativity breaks down after we look at it closely enough. So if we actually discover a graviton, it won’t be a big deal. We just keep using relativity because to a large extent, it works. We JUST CAN’T EXPLAIN those parts that don’t work. So, even scientists ignore “facts when they contradict their preconceptions”. THIS IS SCIENCE. We go with what seems to work even when we can’t explain it all. TRUE science and TRUE religion go hand-in-hand. But we must be extra careful to accept what exactly is TRUE in ANY forum. Woody Allen’s SLEEPER has a good line about that regarding smoking and Twinkies. The common claim about the big bang and evolution is “given the immensity of the universe and enough time, our existence was inevitable”. Unfortunately, this claim is as unprovable in temporal terms as the existence of God. Given our estimates as to the age of the universe, it is still not enough to provide for the “enough time” portion of that claim. The first tenet of science is that if it is unprovable, it is not science. Yet this claim goes about the entire scientific world. I view it as the far corner of a large jigsaw puzzle. Just because today’s science is looking at the near corner, we can’t seem to fit the far corner. Sometimes we put a piece in that fits, but the picture doesn’t match or vice-versa. We deal with it until we find the better piece. TIME: When left up to randomness things form much more slowly. But if there were an intelligent Designer, things go much more quickly. This would explain the “time” element of evolution and the formation of the universe. There are all sorts of ways that we can look at things and see the harmony where religion fills in the gaps where science can’t explain — and vice-versa. But it must be true science and true religion. Of COURSE neither false religion nor psuedo science will fit together. But truth ALWAYS backs up truth. My study of science has lead me to believe even further in a Supreme Being. Life experience also has given me enough evidence for my belief in Deity. Unfortunately your experience and study has not. But a blanket statement that “Religion does not work” is fairly close-minded. It essentially says that you know all you need to know to make a clear declaration and anyone who believes in God doesn’t know what they’re talking about. Carborendum, it’s not hard to trawl through the scriptures and find something that matches with a scientific advance (while ignoring all the things that don’t fit). What I was hoping was that you’d show where science provides some evidence for the idea of ‘spirit’ (or pick your favourite doctrine). Coming around with a Quad after the fact and looking for hits doesn’t really amount to research, unless you’re at the Maxwell Institute. This is quite incorrect. Scientists don’t ignore inconsistencies in Einstein’s theory. They study it and try to find out more because they know whoever overturns the ToR will be famous forever and get lots of grant money. These people are doing science. By contrast, people at (say) the Discovery Institute or the Maxwell Institute are just trying to come up with anything that will save the religious theory (the Ark, BoM, what have you). These people are not doing science. TRUE science and TRUE religion go hand-in-hand. This idea poses a bit of a problem. Obviously some scientific ideas that we currently accept as true are going to have to withstand some updating, but that’s okay because that’s how science advances. But your religious doctrines are supposed to come from a god. So as knowledge advances, if you’re going to change any core doctrines, you’re gonna have some ‘splainin’ to do. Do you have a way of knowing in advance which doctrines will fall by the wayside? And I think the idea is incorrect anyway. Science tends to invalidate religious ideas, not support them. For example, if the Book of Mormon yielded any clues about where to find archaeological sites (as we might expect it to), meso-American archaeologists would use it as a field guide. But it doesn’t, and they don’t. Just to end this comment, I have to hand it to you for keeping it literal this far. You have a lot more faith than someone who dumps the scriptures into the ‘metaphor’ bin. And no one else has tried to reconcile science and religion with your level of tenacity. I have to admire that, even though I think it… um… can’tbedone. While I don’t agree with Daniel, I have serious problems with Carborendum as well. I think that we do ourselves a disservice when we buy into the precepts of modern science and then pretend our religion is perfectly compatible. The mechanistic sciences operate under very different philosophical assumptions than the teleological philosophy of LDS doctrine. Try as you might to reconcile them, one’s gonna lose, and I think what will eventually lose is the idea that things happen autonomously due to the impersonal forces of nature. I do agree that all truth will eventually coincide; but that doesn’t mean that the deistic underpinnings of modern science will ever be reconciled with the theistic underpinnings of Latter-day Saint thought. Deism will eventually have to be dismissed as part of the apostate trend from which it arose. I have to agree with carb on this one. While it may be true that Deists have a lot of influence in the scientific realm, they are not the only ones, and not every scientist holds preconceived notions. In fact the really good scientists are precisely those that do not. At any rate, absolute truth always coincides with absolute truth. Real science, therefore, cannot contradict _true_ religion. Newtons laws don’t contradict it. The theory of relativity does not, quantum mechanics, no. In some cases there are even fuzzy correlations with the possibility of further scientific knowledge actually substantiating certain religious doctrines. At any rate, if there are things that seem to contradict, I just remind myself that science is, after all, just theories, and theories can be imperfect. Just as well, my own understanding of my religion might be imperfect as well. I don’t think it’s folly to seek out truth on either end, as long as what you are looking for is in fact truth and _not_ evidence or popular support. Evidence can support truth but evidence is not truth itself, and can be interpreted different ways. Finally, there is a lot of so called science that flies in the face of religion. I would nary call such things as evolution and big bang theory hard science. They are theories, yes, but a good scientific theory is one that can be tested rigorously for disproval, with such tests reproducible. So for now, those “scientific theories” are no more than hypothesis, so I don’t let them clash with my beliefs. Maybe a more perfect understanding of evolution would indeed point to intelligent design, as I think has been hinted to already. Maybe God used a big bang to create the universe. Who knows, I don’t lose any sleep over it. Well, I guess I’m on my own. Nothing new. I’m afraid we’re going to have to agree to disagree. Daniel has been consistent in declaring that where they disagree, religion is false and science is true. Jeff has said in one breath that science will “give” but then say they will eventually reconcile. What? In other faiths (and it appears, many in this faith) people DO just ignore those things that don’t fit. I tend to pay attention to everything (both faith and science) with a healthy degree of skepticism and ask why? Or How? But those things I DO know will not be abandoned when I come across some things I DON’T know. Just as Newton was not abandoned when light was found to defy his Laws. As Jeff said, we just had to radically change the way we thought about the nature of those laws and the universe. Is it any leap of logic or faith then that we will have to radically re-think things in order to make science and religion harmonize? Why do we instead have to CHOOSE to disbelieve one over the other? IF we are somehow able to ascertain that any two pieces of information are true (religious or scientific) and we find them in conflict, we must either abandon a source of truth and assume it to be in error, or we must check our premises. We MUST change the way we think of looking at them. Both of you seem to have chosen the first route. I’ve chosen the road less traveled. There are certain basic assumptions we make in both religion and science. In Religion we call it a testimony, or witness of the Spirit. In science we call them Laws. By their nature, we cannot prove either. Through experience and study we find evidence that they work. When we see enough evidence, we ASSUME or BELIEVE them to be true. We’ve had different experiences and have studied different things with different attitudes—different colored glasses. So, we come to different conclusions. Apparently, we all seem to be happy in our separate paradigms. BTW, thanks to vontrapp for making me feel I’m not alone . (sob, tear, hug). I agree that all truth coincides, but that first science must be revised until it looks like something very unlike modern science. So, if the end result isn’t at all the same as modern science, then we can conclude that modern science as it is is irreconcilable with the LDS religion. So you have both just agreed with me. So, Carborendum, I think you misunderstood me. I was not contradicting myself. I was saying that they do presently contradict, and that science as it is must change (because it is committed to the idea that all events can be explained through the autonomous, impersonal forces of nature). However, when science has changed into something drastically different, they will be reconciled. Thus, no contradiction there. There is not a soul on this earth that doesn’t have pre-conceived notions. Jeff, I think you missed my point. This is a perfect example of what I said. If we have verified that two pieces of data are true but seem to contradict each other, the very human knee-jerk reaction is to believe one of the two are wrong. So, we decide that one or both must be discarded. If, instead, we believe that WE are in error in the interpretation of the supposed conflict, then correct that error, we might find ourselves in a bigger world that we had not considered before. But that takes humility and the willingness to change our paradigms. It also takes courage to leave our old world behind and look forward to a brave new one. But how many are regularly willing to do that? It is much easier to declare, ”Obviously, THIS item is wrong.” This is what both you and Daniel have done—just in opposite directions. This is where we disagree. I believe neither science nor religion need to change. WE need to change ourselves in how we see and interpret things. By accepting ALL truth (so long as it is really truth) we change our glasses until we can accept the WHOLE picture. By changing our glasses, we get closer and closer to a clear pair of glasses instead of colored ones. Where men will ALWAYS disagree is the determination of real truth. Sorry, that won’t be solved by science or logic or philosophy. And only when Christ comes to rule here Himself will it be solved by religion. Take the beam out of our eyes before trying to take the mote out of our brother’s eye. Change ourselves first, then we might not find so much fault in either religion or science. Hey, I actually brought the discussion back to the topic of the article — perfection. We’ll just have to disagree then. I think you are missing a huge point: of two contradictory statements, both cannot be true. Science is committed to the philosophy that all events are explainable by the autonomous, impersonal forces of nature. There is absolutely no way to reconcile this with an interacting, embodied deity (or even human agency, for that matter). In fact, the idea that all events are explainable through the impersonal forces of nature arose out of the same apostate tradition that we as Latter-day Saints reject. To say that the fundamental assumptions of the natural sciences are in error is in no way trying to take a mote of another eye while ignoring the beam in my own. I actually have no idea why you even brought that up. This is about being consistent in our philosophy (i.e., not claiming that God is both involved and uninvolved at the same time). Anyways, I invite you to do a lot more reading on the subject. Many scientists and Latter-day Saint thinkers have acknowledged a fundamental disparity between scientific naturalism and theism. I’m not trying to solve the problem using philosophy; I’m simply saying that when revealed truth differs from the philosophies of the world, our job isn’t to “reconcile” them, but to dismiss the philosophies of the world (such as naturalism) in favor of revealed truth. Naturalism is far from a proven philosophy, and in fact has some serious and fatal flaws (C. S. Lewis pointed out several of them). And, I agree that we must accept all truth. However, it is clear from divine revelation that naturalism isn’t truth, but fiction. I guess I WAS missing a huge point. But it was not the one you point to. It was a different one you mentioned. (See-paradigm shift). I know that if two statements are contradictory, both cannot be true. My point is that you point to the second part of that statement. I’m saying that OFTEN, it is the first part of that statement we must look at. ARE THEY REALLY CONTRADICTORY? My metaphor of the mote/beam was not an accusation that anyone had sinned (as the parable does). Instead, I was using it as an example to show that sometimes it is not the thing we’re looking AT that is flawed or in conflict. Sometimes it is our own ability to see clearly, or see the whole picture, that CREATES the conflict where there really is none. What I was missing before was that you believe the very basis of science (the autonomous nature of the universe) is flawed – that it conflicts with LDS doctrine. OK. I’m getting the impression that you believe ANY scientific law is “naturalism”. You might want to read more James Talmage. Just because it is scientific doesn’t mean it is anti-God. Church leaders have told us time and again that what we term as “miraculous” still follows physical laws. But they are laws beyond our knowledge or understanding at this time. You state that God cannot be involved and uninvolved at the same time. As a parent, I watch my children constantly. If they are behaving well, I don’t do much at all. I set some rules, give some orders (commandments). They know what to do. They do it. Why would I get involved? At times I let some wrong things go. At others, I step in and do something. I make a judgement call – some things would benefit from my involvement and others would not. This is not a contradiction. True — it is not our job to reconcile truth with error. My question is — do you know for sure that it is error? What are you focused on? Whether we should reject, or whether we should determine? If you have learned through the Spirit that something is indeed wrong, then may you be blessed for it. But if your reaction is to categorically dismiss anything that “seems” in conflict with your understanding of “revealed truth”, you might find yourself “fighting against God” as did Saul with the early Christians. I’ll keep doing the best I can. You keep doing the best you can. One day we hope to reconcile. And may the Lord judge between me and thee. I have thoroughly read Talmage and Widstoe. However, they are not the only voices in the fray. Bruce R. McConkie and others have expressed disagreement with the naturalistic assumptions that Talmage and Widstoe embrace. The literature is rich and nuanced, and does not support one side over the other. However, in my own personal studies of the history of naturalism, it arises out of a philosophical lineage that Latter-day Saints avidly reject. Those who equate naturalism with gospel truth because of what Talmage wrote forget how easily their own ideological assumptions filter into their gospel perspective, and ignore the writings of equally authoritative church leaders. Most careful philosophers will admit that naturalism and theism are irreconcilable. If would like a list of readings on the issue, I can give them. I can see God’s interaction this way. But this isn’t naturalism. You seem to be defending a non-naturalistic worldview and calling it naturalism. You seem to be defending a non-naturalistic worldview and calling it naturalism. I never called it naturalism. You did. I reject the basic premise of naturalism. Just because it is scientific, doesn’t make it naturalism. Naturalism states that science is exclusive of religion–just as you seem to be saying that religion is exclusive of science. I beleive as long as it is truth, it should be accepted as part of the overall puzzle. I’m not asking which is more important. I’m not asking which one trumps the other. I’m asking you how do you REALLY know there is a conflict? How do you know that the conflict is not fabricated out of your personal inability to see the whole picture? The beginning of all wisdom is “I don’t know”. Are you passing judgement? or are you seeking further light and knowledge? Once you pass judgement, you are refusing further light and knowledge. it arises out of a philosophical lineage that Latter-day Saints avidly reject. I’m LDS. Have been all my life. I’ve read just as much as you. From what I learned on your website, I’m almost as old as you. To Saul, Judaism and Christianity were patently irreconcileable. It was only after the “scales fell from his eyes” that he could see the big picture and see how they were in harmony. Somehow, you’ve built this fortress of religious knowledge that refuses to allow you to change your world-view. Have you learned so much that you will never be wrong? Could NONE of your “facts” be questioned? Could you NEVER have misunderstood or misinterpreted anything you have learned? Are you so far advanced beyond me that you cannot UNLEARN anything because it is ALL correct? If you think that, I would say that fortress of yours is a prison. Strike one comment. I’m not almost as old as you. I’m much older than you. Remember the 13th article of faith. I’m just sayin’. Right back at ya, Carborendum. Perhaps you ought reexamine your assumptions about the world as well. Nobody is immune to error. Please don’t suggest I’m fighting against God. I’m just to trying to show people the subtle ways in which the adversary has embedded apostate assumptions into our worldview. Nobody has ever discovered universal, unchanging scientific laws. Nobody has seen them, tasted them, smelled them in any way. They have only inferred their existence from regular patterns they’ve observed. But it is merely an inference, and not even a necessary one. A useful one for sure, but it doesn’t say anything indubitable about the nature of reality. I haven’t immediately rejected anything. I have come to my position after years of reading and studying. Dang. Now I admire Jeff T. for not trying to slop science and religion together into a big meaningless ball. It’s important to realise that they really are different things and can’t be reconciled. But your main problem will be that you have no grounds for dismissing scientific theories so blithely. I realise you don’t ‘like’ the naturalistic axiom at the core of science, but just because you don’t like it doesn’t mean it doesn’t work or isn’t true. Remember, ideas formed from the scientific method have been made from observations from multiple individuals, which you can verify yourself if you don’t believe them. Or make a better hypothesis, which will become the new paradigm if you can support it experimentally. The only way you can do that with religion is through schism — start your own movement. How’s that working out? Jeff T. correctly sees the split between science and religion, but has plumped for religion instead, and in doing so, has rejected the most successful endeavor that humans have ever been involved in. I said before that science works and religion doesn’t, and I think that needs some explanation. Could you work out the value of pi to twenty places using only revelation? Do you think you’d get it right? It should be possible since the Holy Ghost leads you to all truth. Or let’s try building a boat. I’ve never built a boat before and you probably haven’t either, but I get to use science and equations people have developed using the scientific method, and you get to use only revelation. It’s happened before with Noah and Nephi, right? Should be easy. Whose boat do you think will last longer? And it’s not just that — religion isn’t even very good at solving religious problems. If there’s some doctrinal issue, and you get different religious leaders together to try to find a solution, they’d probably have to ‘agree to disagree’. So if we agree that religion and science take us in opposite directions (and I find Jeff T.’s argument quite sound), then why would you pick myth and legend over that which is demonstrably so? I don’t know if we can say that deism is at the heart of science. Maybe it was once, but I wouldn’t like to take that too far. Naturalism just means that we use natural explanations for things without resorting to the supernatural. Given that no one has demonstrated the existence of the supernatural, this is actually a good assumption. I re-examine my assumptions every time I get into any discussion about anything. Do you? I would argue that there is not much more certainty in science than in religion, when you consider that so much of science is a non-empirical commitment to a particular worldview. (Before you respond to this sentence, I hope you read the posts, since they may clarify what I mean by a non-empirical commitment). I must consider the possibility I might be in trouble when an atheist is telling me to listen more closely to a religionist. Eureka! You finally get it. Thanks to an atheist. Go figure. I would argue that there is not much more certainty in science than in religion, when you consider that so much of science is a non-empirical commitment to a particular worldview. I did read the posts. There’s no comparison. Some evidence is better than no evidence. There is no reason to accept a more complex explanation when a simpler one will do. There exists a magical man who can do anything. He dictates holy books about talking snakes and donkeys. Your actions will result in consequences for you after you are dead. The claims in the first group are more modest and self-evident, to say the least. Our religion also believes the external world exists, and that experience, particularly revelatory experience, is better than no experience at all. Things happen due to mechanistic, non-agentive causes. A agentive, purposive account can be made for things that happen. An honest person will admit that the “self-evident” assumptions of the natural sciences have no empirical basis. They are pre-empirical assumptions to which a scientist first commits, and then uses to interpret his observations. That is fine, because all experience is filtered through an non-empirical interpretive lens. It just depends on with which lens you choose to interpret your experiences. I prefer to believe in the assumptions of a teleological worldview rather than a mechanistic one, because I believe (as C. S. Lewis explained) the mechanistic worldview makes nonsense of the whole idea of science in the first place. I believe that there is a reality that just doesn’t make sense from a mechanistic worldview. You are right that, in order to believe in the LDS religion, I must transcend the mechanistic worldview. And with full knowledge of that fact, that is exactly what I choose to do. Anyways, Daniel, as this is far from the topic of the post, we ought to debate this elsewhere. I’d love to hear from you on my blog sometime! Wow! What a fascinating exchange! It was interesting to read a comment, then read the response and find that the responder got something totally different out of it than I did. It seemed to me there was some missing-the-point going on…Was it me? What a great, thought provoking article! I have been thinking a lot about being prepared for death lately, and this has provided me with more food for thought!! Carb, Daniel, Jeff: I have found a peace accepting these simple truths: that God is, that all things testify of Christ, and that as I am ready truth will be revealed to me, whether through experience, active learning, or direct revelation. Some of the truths revealed by scientific discovery testify of Christ beautifully, some seem to contradict. In those gaps I have laid my faith. Faith is the substance of things not seen. It is the acceptance that our vision of reality is limited. It is the acceptance of our human limitations, that our scientific, mathematical, geographical, psychological, psychiatric, medical, etc. knowledge is severely limited. We are not capable of knowing all that there is to know, there is too much. And so, within this paradigm I am willing to accept that seeming contradictions will be explained to me some day. I have always felt, intuitively, that the creation story was not completely spelled out to us. I considered the truth that one day on Kolob is as 1000 years on earth, and thought that perhaps each day of creation might have been one thousand years. In those thousand years, processes could have been completed that resulted in what we were told: for example that man was created from the dust. Could it have been an evolution of sorts? I don’t know, but I can’t rule it out. (I am not implying ape ancestors, just some sort of evolutionary process). There is a lot I don’t know, but I do know that God was the master of the process. I know it because I have received witnesses that have left me assured of its veracity. No scientist will be able to have such a confidence in any theory or hypothesis. This kind of confidence comes from truth distilled from heaven to a soul. It is the place that science and religion part company. Daniel: Religion cannot be proven by any scientific method. God will not allow it, even if it is technically possible (by seeing spirit as matter, for example). The purpose of this life is to prepare to meet God, to prove faithful to Him at all costs. If His truths were proven to be true, everyone from that time forward would not be able to have their faith tested. This may seem too simple, or even hokey to you, but so be it. And yes, I have had things revealed to me personally that proved to be perfectly true. From simple, small things like the exact location of a missing object, to the truth of a complicated economic theory. I have been able to understand things that I have no training or education in through the gift of the Holy Ghost. I have felt to slow down and have avoided deer, I have felt to hesitate in my car and missed being rammed by someone running a red light, things I would not have avoided without that help. Spirit: which is our connection to our Creator and the world from which we came. We cannot neglect one part of ourselves and remain whole. Your comments seem to focus on the mind, to the exclusion of the others. Information received by the other means is just as valid as knowledge obtained by science, or other outside “proof”. Intuition can prove to be a very powerful source of information in decision making. Emotions have very valuable information to provide us with as well. Our spirits are real and have very powerful influences on our being. Neglecting or ignoring them is just as influential as nurturing them. Just because very few people have claimed to see spirits doesn’t mean they don’t exist. Finally, Daniel, I would encourage you to ponder on the wondrous miracle that is life. Not just human life, but all life. Can something so complicated as quantum physics really be the result of an accident? Can the perfect organization of matter that is a human being really be an accident? Can the innumerable atoms present on this planet being organized in just the right ways to be each organism really be an accident? It is too complicated to be random. I find it an insult to my intelligence that anyone would suggest to me that it is. What are the chances of throwing some paint at a canvas and getting the Mona Lisa? To me they are the same as the chances of throwing some atoms together and getting the Earth. Jeff, I’ll agree that a man without preconceived notions does not exist. However, it is precisely when a man puts aside those notions that real science is done. For example, the man who disproved that life is spontaneous, I forget his name and I’m too lazy to look it up. Anyway, he took a question, “Where does life come from?” He put aside notions of spontaneity, saying “maybe it’s true, maybe it isn’t.” Then he carefully thought up some experiments that would show one way or the other which describes life. “Life begets life” or “Life spontaneously generates.” Through his experiments he generated evidence that the former, “Life begets life” is true. Since then, nobody has been able to disprove that theory. We believe it to be truth. If it is truth it will harmonize with other truth, if not, it will at some point be proven wrong. This is science as I see it. It seems that you, Jeff, see science, all science, as naturalistic. I see naturalism as being a small corner of science, and obviously I don’t believe that God is uninvolved and involved at the same time. Just because I can believe in certain scientific “laws” that say things work this certain way doesn’t preclude that God can still act on, with, and inside said laws. Just like saying that gravity causes things to fall doesn’t preclude me (or Galileo) from hurling them off a tower. I also disagree with Daniel that naturalism is the “core” of science. It may be a core motivator for some scientists, even a majority. The scientific process itself, however, like carb and loquaciousmomma have pointed out, is really not all that different at all from the religious process. We pose hypotheses, we test them, we gather evidence. “Faith is the evidence of things hoped for but not seen.” Scientific laws are the evidence of things mathematically modeled but not seen. I see no fundamental difference, and I firmly believe that any truth will always be consistent with any other truth. As carb points out, we may not always be able to see the consistency for our imperfect knowledge and/or understanding, but the harmony is there. If scientific evidence leads us to a truth, that truth will be consistent with religious truth. If the scientific “truth” is inconsistent with religious “truth” then either a) our understanding of the scientific truth or the religious truth or both are imperfect or b) our evidence concluding the scientific truth or religious truth or both are incorrectly followed. If it’s a, we seek more understanding, more pieces to the puzzle, change paradigms, pray, study, whatever. If it’s b we go back to the evidence (for that’s all we really know) and try to draw different conclusions. We should never throw out the evidence, either spiritual or scientific. But we can try to see what other conclusions we may draw from those evidences. Of course we rarely know if an inconsistency is from a or b, in which case we try all of the above. I say again, ALL truth will ALWAYS harmonize with all other truth. Whether that truth is arrived at through scientific process or religious experience. It’s funny that everybody keeps insisting that all truth will reconcile. OF COURSE. Nobody has claimed that it isn’t. However, people keep referring to “scientific truth.” Well, no scientific theory has ever been proven indubitably to be true. So why do we keep talking as if they have? I don’t want to be mean, but duh. Seriously, I’ve never claimed that two truths will contradict. The scientific process doesn’t arrive at ‘truths’. It is a way of formulating an account or explanation of the events around us. There are many ways to account for every experience and every observation; the natural and mechanistic sciences are generally committed to particular kind of explanatory framework. All you can do is commit to believing that framework is better than others. But it is never an indubitable ‘truth’ found through the scientific process. That fact has been universally accepted by nearly all major philosophers of science in the past century. What scientific “truths” are we thinking of here? What scientific “truths” are we so avidly defending? Jeff T.: I feel like I’m watching someone who’s been given a beautiful BMW, but who says, “I don’t know, it’s still a car, and cars really shouldn’t be able to move because of Zeno’s Paradox. And now that I’ve dealt conclusively with cars, I think I’ll hop into this pile of manure and drive it home!” What is up with that? I appreciate that your feelings about the life, the universe, and so on are deeply held. But (here I go again) our feelings are not evidence for anything in the external world. We can be wrong about these things. The scientific method helps us to control for error and not get fooled. When we feel like something’s true, but the evidence doesn’t support us, we have to have the humility to realise we may be wrong, and the courage to stick with the facts and not go beyond. Also: you may be under the impression that evolution is random. Mutation has a randomising influence, but natural selection isn’t random at all. You can read more about this here. What are the chances of throwing some paint at a canvas and getting the Mona Lisa? If paintings could reproduce, and offspring that looked most like the Mona Lisa survived, then after a while all paintings would look like the Mona Lisa. Click here for a computational experiment where someone has done exactly this! Again and again people refuse to take off their glasses and try on a different pair. I had Jeff’s glasses for a long time, until my early 20s. A few years ago I tried on Daniel’s glasses. It was only natural – I am a student of the sciences after all. No offense toward Daniel, but that only lasted a year or so. Similar was true with Catholics, JWs, Methodist, Lutherans, & born agains (less than a year each). I’ve also tried on the Muslim glasses for academic purposes only. I looked into Buddism and Shintoism. I skipped over many others – hey, I’m not going to live forever. All of them were very interesting and educational. I saw truth in each of them. I also saw a lot conflicts within the same set of glasses. That was a clear sign that it ain’t working. What I chose to keep were those things that still seemed to work no matter which glasses I had on. Truthfully, very little did – of any significance. But much fit in MOST reference frames. Every time I get into a discussion I try on a different pair. I have in this discussion (Jeff’s and Daniel’s). Daniel’s make me feel . . . inanimate? I can’t think of a better word. Jeff’s make me feel like an inquisitor of the Catholic Church. Honestly, I’ve never heard anyone so anti-science outside of the Flat Earth Society. And you can’t blame that on Church leaders. I’ve read all some leaders have said about how careful we need to be when we study the sciences. They don’t talk like Jeff. Science, religion, philosophy, life experience . . . All of these are peripheral to the central issue. When you come across a conflict, do you choose to ignore? Or do you try to see if you just need a different pair of glasses? Whatever works for you, go for it. We’re all doing the best we can with only a few pieces of the puzzle. I hope we all find our path to happiness. So what glasses do I have on now? I think I’m alone. But I balance faith in God with faith in science with this quote from Galileo. Momma, I appreciate your thoughts. I’m not against science… I am against inconsistency in science. In the end, I want to rescue science from the worldview that everything can be accounted for by the impersonal forces of nature because, as C. S. Lewis explained, such a worldview makes nonsense of any rational endeavor. There is a lot going on here. I like Jeff T.’s statement that the scientific process cannot give us truths. With all its usefulness, we need to ask ourselves what we mean by truth when we are talking about science. Daniel wants to know if we can solve mathematical problems with the Holy Ghost. Apparently, this would be a good measure of the truth of religion – or maybe its usefulness. This is where we are as a society. This is what we have become. We have become so infused with modern science that we want to subject everything to its scrutiny. One of the more dubious successes of modern science-and of its attendant spirits technology, historiography, and mathematics-is the suffusion of intellectual life with a prosaic and pedantic mindset….In a literalistic culture the forte lies in counting, calculating, calibrating, computing, collecting, classifying, and cataloging. What is real, significant, valuable, and true is understood primarily in such terms…. Literal clarity and simplicity, to be sure, offer a kind of secutiry in a world (or Bible) where issues otherwise seem incorrigibly complex, ambiguous, and muddy. Yet it is a false secutiry, a temporary bastion, maintained by dogmatism and misguided loyalty. Interestingly, Hyers here is addressing the problem of religious people trying to make religion conform to science, although I think it makes a pretty interesting point about people who reject religion for not conforming to science. Once we hold science in such an esteem that we want it to have anything to say about religion, we have forgotten what science and revelation are about. Some like to think that they are two paths to the same end, but why? Why think that? Why do we think that science will give us answers that deal with any of the truth that revelation gives us? We need to examine whether it is because we have been so indoctrinated with this modern scientific prosaic mindset that we think science actually can do that. Our situation calls to mind a backstage interview with Anna Pavlova, the celebrated ballerina. Following an illustrious and moving performance, she was asked the meaning of the dance. She replied, “If I could say it, do you think I should have danced it?” To give dance a literal meaning would be to reduce dancing to something else. Is this what we are doing when we seek to compare religion and science – either to reject religion or to complement it? I think we need to be careful when we use scientific language to describe our religious beliefs. We need to examine whether it is because we have been so indoctrinated . . .
Daniel: I appreciate your thoughtful response! You are correct that raw feelings whose roots are in our emotional reaction to an external stimuli are not evidence of anything external. They are rather valid information to us about ourselves. They help us to compare our thoughts about a situation with the actual reality. Emotions understood are a powerful tool for growth. That being said, intuition, which is related to emotion, can provide information about the external world. Intuition is often based on years of experience that is so deep no conscious thought process is necessary. It is often correct. The scientific method helps us to control for error and not get fooled. Generally, this is correct. Not completely, however. You seem to have a lot of faith in the scientific method, but it is not foolproof. You have to know this! Like others have pointed out here, things that have been generally accepted in the scientific community have later been disproved. (Think-bloodletting) Even the respected Albert Einstein has had his theories called into question. Basically, the scientific method is as limited as the human being implementing it, and the tools available to him. The scientific method can be applied to religion, however, with one caveat: The proof is in the results of living whatever principle being tested. It is not measured in a laboratory, or completed with a double blind, controlled experiment. When we feel like something’s true, but the evidence doesn’t support us, we have to have the humility to realise we may be wrong, and the courage to stick with the facts and not go beyond. Yes, and no. I agree wholeheartedly that we need to have the humility to admit and accept when we are in error. Facts, however, are not as reliable as one might think. It depends on the source of the “fact”, the person reporting it, the conditions under which it is being asserted, etc. Statisticians admit there are inconsistencies in their discipline. Facts can be misused, misunderstood, and even made up. Studies and experiments can be confounded in any number of ways. Different scientists can interpret the same results in different ways, based on their own personal bias. And then there is Simpson’s paradox. Also: you may be under the impression that evolution is random. I know that evolution as it is explained is not completely random. It is the result of innumerable changes in the dna of organisms over the years. I understand the concept, that the characteristics that were best suited for survival continued and ultimately became common among species. My reference to ‘accident’ has to do with the fact that the whole thing is said to be the result of biological processes with no purpose, except to perpetuate the biological processes. The accident was the random explosion with no outside catalyst, except that universes are created and ended this way throughout space. The accident is that we just are, for no other reason than that we are. Under your analogy the only glory of the Mona Lisa is that it was the painting that was able to endure. No purpose, except to exist. But take a work of art like the true Mona Lisa, with a story and a purpose behind it, and the whole enigma that surrounds her takes on a life of its own. It has a purpose, which is whatever purpose DaVinci had when he painted it. It is his message, his creation. I would rather believe that I am the result of the love and toil of a master creator who had a specific purpose in mind for me, than that I am merely just another organism that just happened to develop this way. I am sure most LDS people have heard this along with most xtians. What is your understanding of it? When I was a church goer I found this very perplexing. Xtianity is very widely preached, and the bible is one of the most published books. In the united states ‘the way’ usually finds you, its almost impossible to avoid in fact. I used to find that something very strange, and troubling, but with my current perspective its not so strange. What is your understanding? My personal interpretation of this scripture is that the way, or road is narrow, as it is the “road less traveled”, so to speak. Many people know about the “way”, but they are not all willing to make the sacrifices to stay on it. Life is tough. Life while on the straight and narrow is lonely and fraught with perils. Satan wants to lead you astray, and if he can’t he will try to blow you off the road with adversity. Many succumb to this and lose their way. The reason that few “find it” is because, like many of us, they get so caught up in their own busy lives that they miss it when it is right in front of them. You can sit in a church every Sunday and miss the way. It all depends on why you are there, and what you do while you are there. Thank you for your thoughts and comments. Its nice to compare notes. There are plenty of roads less traveled. So, finding it doesn’t mean mere exposure to ‘the way’? I would note that ‘Tao’ means ‘the way’, ‘the route’, ‘the road’. Hi Joe. There you are. I feel like I’m walking into a trap. I’m sure you understood that we as LDS stand out from the rest of Christianity. You probably also understood that Christianity in general is not the narrow path. It is this Church and its power and teachings. Even though we have been the fastest growing church for the past 150 years, we are still only 2% of this country’s population and 0.2% of the world’s population. (Please don’t dispute this, I’m aware of those few who say that a some others actually hold the title for fastest growing church, but whatever.) This makes this church “a road less traveled”. Yes, there are many roads less traveled. So, what makes this road so special? 1) The most important is that this is the ONLY true church, just as Jesus stated He was the only way to Eternal Life. Many faiths actually don’t believe this about themselves. Even many Christian sects don’t believe this about themselves. I could have said “we believe” this is the only true church. But that wouldn’t matter for the sake of this argument. We could just be suffering from some mass delusion. If it really IS the only true church, THAT is the important thing. And this is what Jesus was talking about when he made the statement regarding the gate and the path. 2) To go back to Jeff & Angilee’s comments, I believe they were trying to point out that although mortal means of learning (science, logic, philosophy, & life experience) provide some means of guidance (and is certainly a resource we are supposed to use) it is still secondary to divine guidance & education in the form of revelation. Many faiths believe this in some way or another. But few practice it. In fact, most Christian faiths deny this in common practice. At times they talk the talk, but they don’t walk the walk. The power of this Church comes from being connected to God on a level that is different than most of us have the ability to accomplish on a personal level. Although every man, woman, & child may have some revelation in their lives at some point or other, in order to have a credible claim to the real Power of God, we must be able to have more revelation than others. This is in addition to the fact we have a prophet that will be able to speak with God face-to-face as prophets of old. In interpreting Jesus’ statements, we would be safer to conclude that he was speaking of a path that followed his teachings (i.e. — a Christian sect). That does not mean that ALL Christianity was the narrow path He spoke of. The fact that the total number of Christians in the world (let alone the United States) is quite a large percentage should clue us all in that general Christianity, though not a majority of the world, is not a “road less traveled”. Even so, simple exposure to the Church is not following the path. The “strait gate” of which He spoke is baptism and the Gift of the Holy Ghost. The “narrow way” is living the teachings, giving the Lord our broken heart & contrite spirit, and always looking forward with an eye single to the Glory of God. Walking into a trap? Maybe, maybe not. Thank you for your comments however. I am sure that a lot of people have commented upon the meaning of that statement. There are other possibilities as to the origin of the statement and its meaning. What you stated above, is this the general feeling of LDS church members at this time? I am sure you cannot speak for them all, but do you think the average member would be likely to give a response similiar to yours? Joe (#60), although there is a wide range of thinking about the meaning of “the straight gate and narrow way” among LDS, speaking as a fairly “average” committed and actively practicing LDS, I would say that Corborendum’s interpretation is a very common one. As someone with a layman’s interest in both philosophy and science, I have found this thread quite fascinating. Thank you all for stating your positions so respectfully. Angilee (#52) probably best expresses my opinions. I’m sorry that her longer original comment was lost, but glad she was willing to give it a second go! Joe, my statement about the possible “trap” was that this is a fairly basic concept. To my knowledge, most Christian faiths have a similar if not the same interpretation. The fact that you asked such a basic question when you seemed to be somewhat well versed in most of our discussions made me think you were up to something. But I guess in this case you honestly didn’t know. My bad. Yes, the average Christian is more than likely to say that Christ is the only way to be saved, unless its a liberal christian. They might not say that a particular church is the only way, but may claim that x, y and z are signs of true christian belief. I think you are right, I was ‘up’ to something. I have this habit of thinking outside of the box. “For the gate is small and the way is narrow that leads to life, and there are few who find it.” I found that just sooo frustrating and annoying whenever I heard that…when I was a church goer. It stopped being annoying when I thought that perhaps the way is not to be found in the gospels, the N.T., the O.T. or any part of the Bible, at least not in the way that people think. That is a thought that probably would not pass into a believers mind. OK, Joe. Now you’ve got my curiosity up. What interpretation do you have that would be backed up by a statement Jesus said that would not be found in Christianity? I would understand if you said that Christianity has gone astray or something to that effect. Then we are not really following Jesus. But if we are not, then can we really be called Christians? The main topic is about obtaining perfection. It just seemed appropriate to include that statement with my observations. My feeling is that a description of perfection and how to obtain it is wanting. I personally believe that its not found in the bible. I do believe that this statement could be true, while at the same time not offering any useful information. What does perfection mean to you? Does this differ from what the N.T. considers perfection? I do know that the average christian expects something entirely different from the LDS belief. The good samaritian has had a number of differing views, here are some comments. The commentary on modern recasting is pretty interesting. In this point of view the parable could have been “the good atheist”, “the good homosexual”, “the good prostitute” “the good terrorist” “the good muslim” “the good FLDS mormon” Or perhaps any other number of “the good ….” where a group is misunderstood, and faces prejudice of some type. All the other re-tellings merely tell the same story with the same message. Different roles, names, places. But all those essentially mean the same thing. The alternative I was referring to was John Welch’s interpretation. This is the narrow way to perfection (Christ). I actually had an “investigator” on my mission who argued this point. This boggled my mind. His belief in the Bible was beyond reverence. I honestly think he bowed down to it in prayer. I had to ask what the difference is between an idol of gold and silver vs. and idol or paper and ink. He said “because it’s the Bible.” This was a roadblock I was not getting past. I’m sorry if I misunderstood you before. I thought you were saying that Christ’s description of the strait and narrow was to be found outside of Christianity. I can see people who do not believe Christ is the Savior would believe perfection to be found outside the Bible. But I’m not aware of a credible argument that Jesus’ teachings would point to something outside of the belief that Jesus is the way, the truth, and the life. That no man cometh unto the Father but by him. But if your comment was about humanity’s search in general, I guess I can see your point of view. Ok, you got it right the first time. Yes, I believe its outside of xtianity. Interesting commentary by John Welch. Its an in depth look thats for sure, and he does down play the animosity between the Jews and the Samaritans of that time. Technically, its true I don’t think the ethnicity of the traveler is specifically mentioned, but in the context most people assume its someone jewish. The connection he makes between a samarian and the nazarene is pretty interesting. “Can any good thing come out of nazareth?” Samarians were not high on the list of approved people at that time. This part is more complex, I can see why he said this, but I understand the dead sea to have many therapeutic qualities, I will enclose a commentary from a travel guide to the dead sea area below John Welch’s comments. “The uniqueness of the Dead Sea has been known for centuries. This is the only place in the world with this particular combination of exclusive spa benefits: peculiar sun radiation and climatic conditions, enriched oxygen atmosphere, mineral-rich salt sea, thermomineral springs, and mineral-rich mud. Doing a search on the dead sea, it appears its not significantly mentioned in the Bible. Its interesting, but I would have to read again to see if Jerico really fits into how John Welch describes it. I don’t know if places with low evelationalways have that symbolism in the Bible. I have further commentary on your last two posts, however I would like to gather more information before posting. Thank you. Unfortunately, Wiki’s excerpt of Welch’s interpretation is limited. We must first note that two questions were asked of the Savior. The parable was an answer to both of them. So we consider allegories that will provide an answer to both questions. The priest and Levite metaphor is incomplete. People have come up with all sorts of reasons why they would not help the fallen victim. But the metaphor points out that they couldn’t help. Neither the Law of Moses nor the prophets, nor anything else can save the sin-bound soul. Only Christ (the Samaritan) has the power to save. All other teachings, ordinances, covenants, etc. are to point us to Christ in such a way as to allow His saving power to reach into our lives. Whether the Jericho represents final judgement or merely death itself seems a moot point. The point was that it was on the far side of life. Most doctrines found in scripture end with death. Only the vicarious work for the dead (and issues relating thereto) are described in any detail. The conditions of the spirit world and the degrees of glory are only described with wide brush strokes. This is because perfecting ourselves, spreading the gospel, and doing vicarious work (the three missions of the Church) are things we can do in this life that will affect the next. All other details about the afterlife are things we cannot do anything about here. I found a webpage from Mr. Welch, I took part of the quote from that page, and part from wicki whatever… Welch gathered a lot of information from Origen, Augustine and others…. Yeah, thats the thing about parables they can be read so many ways, and reworked to fit a number of understandings. Be it a power or limitation for a way of teaching. Thats interesting news to me, that sounds a little somber. Eh? I thought LDS people had tons of information about this stuff, mostly from extra-biblical sources. Very interesting observations, why do you think this is? These sound very much like ‘this world’ kind of activities, even though you are placing them in an ‘other world’ context. The LDS church is an organization that seeks to keep itself in existence. Membership ‘perfection’ is detailed by temple attendence requirements, spreading ‘the word’ enrolls new people, and vicarious work keeps people forever busy doing rituals. A lot of people think of baptism for the dead outside of the church, very rarely thinking of endowments for the dead. Some believe this enables members to review the temple pagent over and over for reinforcement. For better or for worse these elements may have nothing to do with the next life, from my point of view.